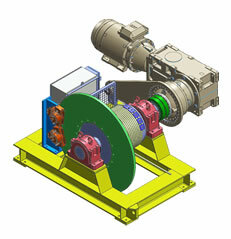 "One Company, Many Locations, Global Service"
Rio had rejected other Taiwanese winches being offered as those did not fully meet AS1418 hoist code and approached Eilbeck to custom build a winch to fit their demands. 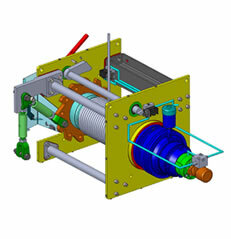 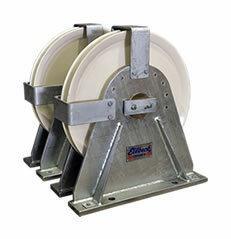 After successfully having delivered the custom built winch, Rio ordered two more custom winches. 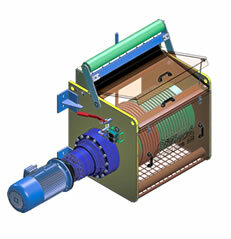 The new winches have a 3 tonne pull at 4.0 m/min 140m line capacity, VSD control with a remote control, IP66 rotary limit and simple plug fitting and standard Wilco outlet. 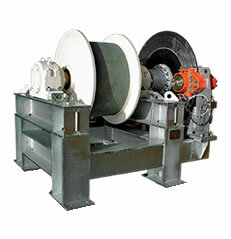 Eilbeck Cranes designed these winches specifically to Rio Tinto's specifications and manufactured in their new Winch Factory in Sydney. 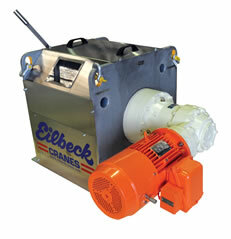 Eilbeck Winches Towering Tough International Competition, and Proudly Exporting to Panama, Central America. 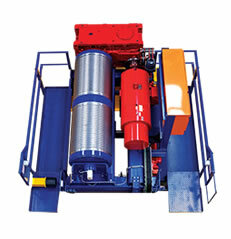 Special 15t man riding winches used to pull slip form and finishing platform with people riding on it. 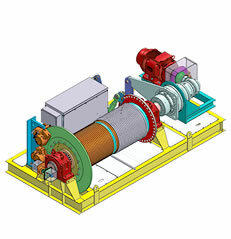 Design, manufacture and delivery of the special and unique hydraulic winches for the Amrun Project through Bechtel Australia.